Hinalang na Baka or Beef Halang-halang. Super Spicy Beef and Innard Soup. Best soup for any hangover problems. 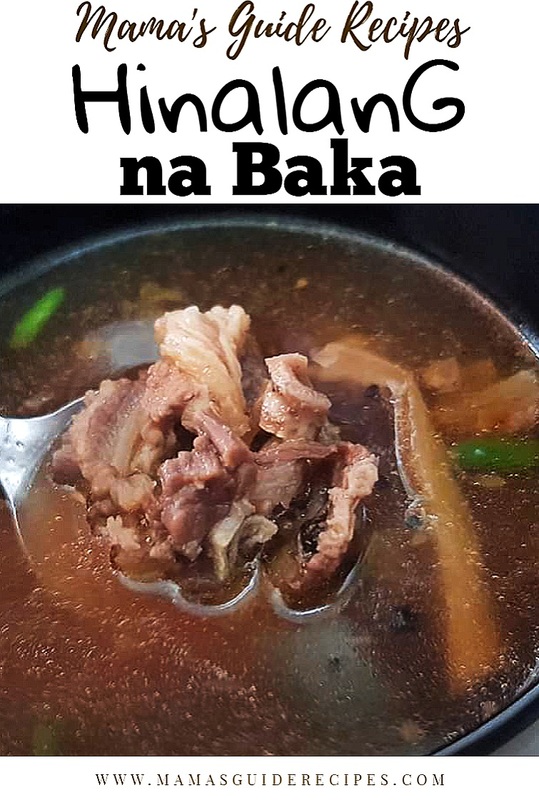 This spicy soup is very high in Uric acid because of the beef innards. People with gout should avoid eating this kind of soup recipe. Clean the innards and brush the tripe well until thoroughly clean. For tripe: traditional way of cleaning is washing, brushing and rinsing it many times. For intestine, make sure to really clean it well. In a pot of water, boil beef and beef innards with some vinegar, salt and pepper. Drain and discard water. Set aside and slice in strips once cooled. In a pan, sauté onions, garlic and ginger until fragrant for about 3 minutes. Then add in beef strips and assorted innards. Stir fry until slightly brown. Toss in bell pepper, green chillies and black beans and stir fry for a few minutes. Pour in sukang tuba, soy sauce and beef broth. Bring it to a boil and simmer over low heat until cooked through for about 10-15 minutes. Season with patis, pepper and calamansi juice. Garnish with lots of chopped spring onions. Serve it hot and enjoy! Note: The fermented black beans is already salty, so adding of patis is just optional. Adjust according to taste preference.